A Spanish computer architect, he was born in Alfamén, Aragon, Spain. He is the Director of the Barcelona Supercomputing Center, the National Centre of Supercomputing in Spain which hosts the MareNostrum supercomputer. His research focuses on computer architecture, with a special interest in high-performance computers, processor organization, memory hierarchy, systolic array processors, interconnection networks, numerical algorithms, compilers, and performance evaluation. 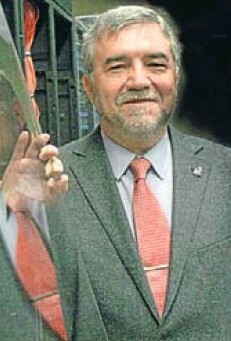 He earned his Telecommunication Engineering Degree from the Technical University of Madrid (UPM) in 1974 after which he became a Professor in the Computer Architecture Department at the Polytechnic University of Catalonia (UPC) in Catalonia, Spain, and in 1983 he became a Full Professor. He earned his Ph.D. in Telecommunications from (UPC) in 1980. He was also awarded honorary doctorates by the Chalmers University of Technology; the University of Belgrade. the Universities of Las Palmas de Gran Canarias and Zaragoza in Spain, and by the University of Veracruz in Mexico. From 1990 to 1995 he created and directed the European Center for Parallelism of Barcelona (CEPBA) performing basic and applied research in parallel computing. He is the recipient of numerous awards, including: the IEEE Computer Society Eckert-Mauchly award in 2007, “for extraordinary leadership in building a world class computer architecture research center, for seminal contributions in the areas of vector computing and multithreading, and for pioneering basic new approaches to instruction-level parallelism"; two Spanish National awards, the "Julio Rey Pastor" to recognize research on IT technologies and the “Leonardo Torres Quevedo” to recognize research in Engineering, by the Spanish Ministry of Science and Technology, presented by the King of Spain and the “King Jaime I” in research by the Generalitat Valenciana presented by the Queen of Spain. He also received the IEEE Harry Goode award in 2009 “in recognition of seminal contribution to vector, out-of-order, multithreaded, and VLIW processor architectures”. He is a Fellow of the IEEE, Fellow of the ACM and an Intel Distinguished Research Fellow. In 1998 he won a “Favorite Son” Award from his home town, Alfamén and in 2006, the town named their Public College after him. In December 1994, he became a founding member of the Royal Spanish Academy of Engineering. He has served in the organization of more than 300 International Conferences and giving numerous speeches. He has also served on numerous Boards and Committees. In addition to having co-authored over 600 publications in Conferences, Journals and Books Chapters; he has been an associate editor of the IEEE Transactions on Parallel and Distributed Systems the IEEE Micro Journal and the IEEE Computer Architectural Letters, the Journal of Parallel Programming Languages, and the editor of several special issues of the IEEE Transactions on Computers and Computer Magazine.